We’re an independent company offering impartial advice. We are known for our excellent customer service, we work in partnership with our clients to provide a fully integrated service where attention to detail is second to none. Regardless of how large or small the project might be, we offer a range of competitive solutions. Our engineers are qualified, highly skilled, experienced and professional individuals but above all they are friendly and helpful. Our team take pride in their work and can be relied on to ensure that not only does the job run smoothly from start to finish; but that it far exceeds your expectations. All installation and maintenance work is quoted and call outs are charged at the specified rate. The majority of materials are sourced from local suppliers; helping us to support the local economy and minimise environmental impact. Our company policies, induction, good communication and regular in house training ensure that health and safety legislation and F-gas regulations are not only complied with, but are integral to the way we work. Reduce the risk of environmental pollution and the emission of Greenhouse gases through the safe handling, transportation, use, and disposal of oils and refrigerants. Having work carried out can be stressful, messy and inconvenient. Our engineers are experienced at working in high risk settings such as clinical laboratories and theatres, where cleanliness is of paramount importance. We always make every effort to minimise disruption to our clients and to leave the area clean and tidy. certificates, and VAT structures in place. We are efficient at completing supply chain documentation, obtaining permits and working with order numbers. 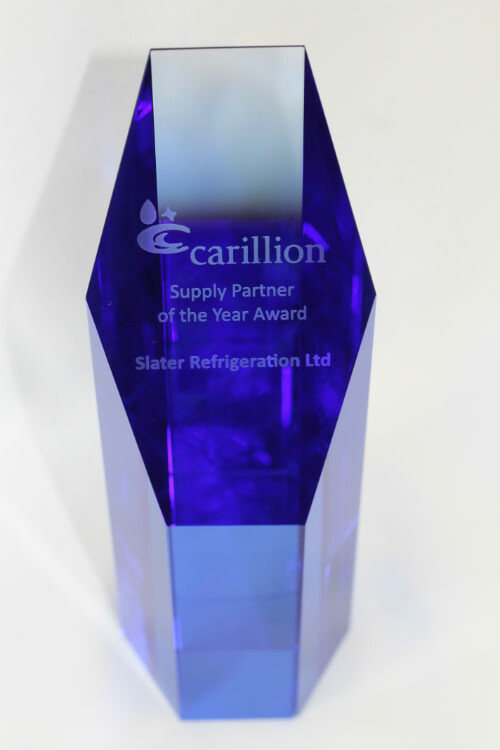 Carillion plc was a British multinational facilities management and construction services company, it was the above factors that helped us to win the ‘Carillion supply partner of the year’ award.